The secret is in the sauce for these juicy and flavorful cranberry meatballs. 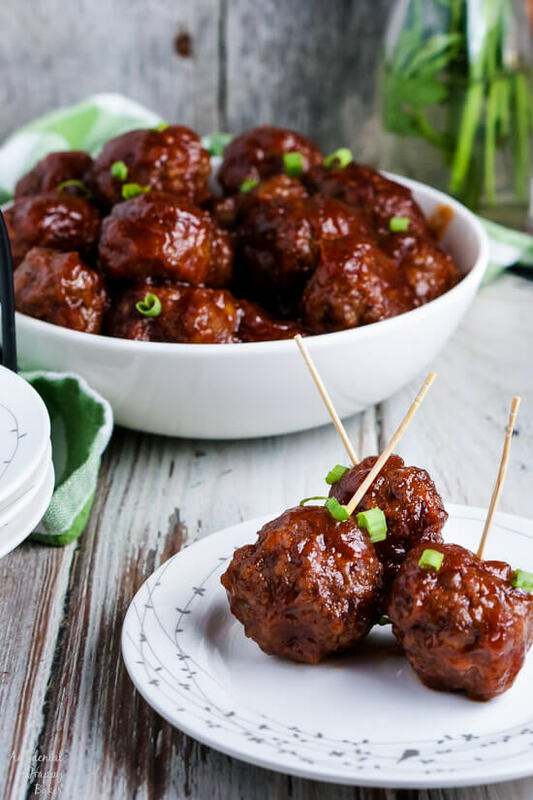 Sweet and tangy with just a bit of heat, these meatballs are one of the easiest and most forgiving recipes you’ll ever make and perfect for any party! 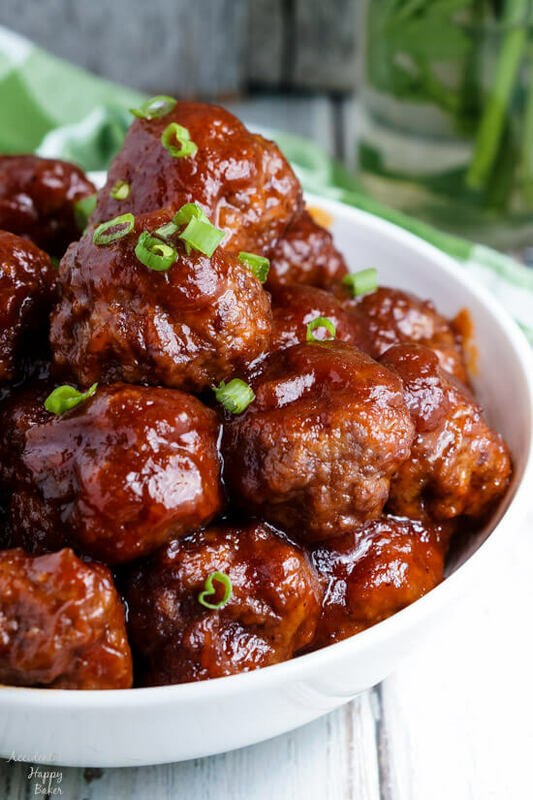 Stove top or slow cooker, you just can’t go wrong with cranberry meatballs. I don’t know how it is where you’re from, but here in Missouri football season is a weird time of year. It starts blazing hot, where you’re sitting in the stands sweating and fanning away mosquitoes through most of the game. 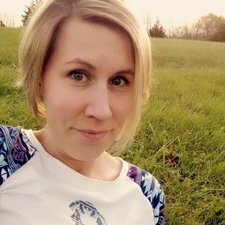 And it transitions to bitterly cold, where you’re huddled under a pile of blankets clutching a cup of hot cocoa in gloved hands. Even though I hate the cold, I kind of like the second option better. It just seems more like football weather to me and I love to watch football! Basically I like sports where you can yell things like put em on the ground! I also love roller derby for same reason and used to play it too. Love me some contact sports. If you’re the kind of person who loves putting a spread together to watch the big game on tv, then you’re going to love today’s recipe. 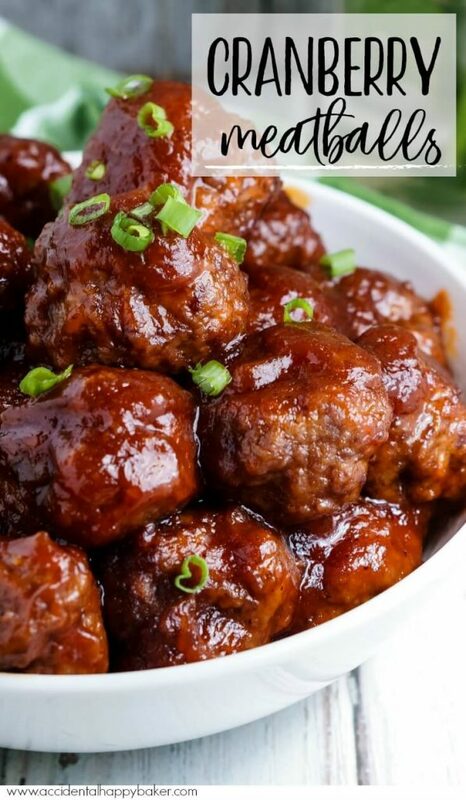 My cranberry meatballs are a perfect party appetizer! I know, I know, I just shared a blue cheese cheese ball recipe the other week. What can I say? Party foods are some of my favorite foods. Any reason to celebrate and eat! These meatballs are so juicy and flavorful, with just a hint of heat! And I’m going to tell you guys, the secret’s in the sauce. I take a can of cranberry sauce, the jellied kind not the whole berry kind, and mix it with ketchup and just a bit of cayenne pepper for a tangy and sweet sauce. 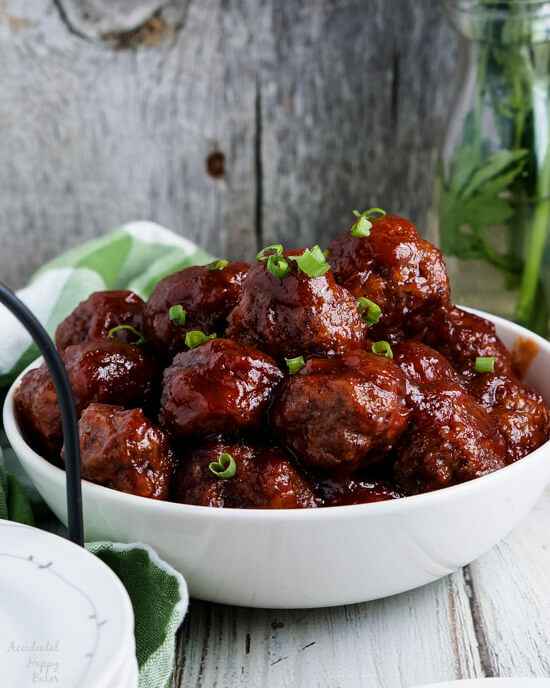 These cranberry meatballs are a great option for parties because they are so forgiving in how they go together. Once the meatballs are baked, you can refrigerate them until needed or freeze them. Or make it even easier by using a bag of frozen meatballs if you like. Throw them in a saute pan with the sauce to simmer or dump them in the crockpot for a few hours. Hate cranberry sauce? Substitute in your favorite jelly. Grape works well, but so does pineapple jam! Here’s my confession, sometimes I make my meatballs a little larger and serve them as the main dish with some cheddar mashed potatoes as the side. (Maybe this isn’t that weird. But anytime I take anything that’s traditionally a party food, like meatballs or little smokies and make it our main dish my husband looks at me like I’ve lost my darn mind!) You tell me, is this a weird thing to do? 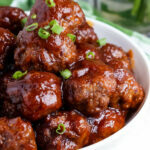 Sweet and tangy with just a bit of heat, these meatballs are an easy appetizer or main dish. For the meatballs, preheat the oven to 350 degrees. Combine the ground beef, bread crumbs, eggs, garlic salt and pepper. 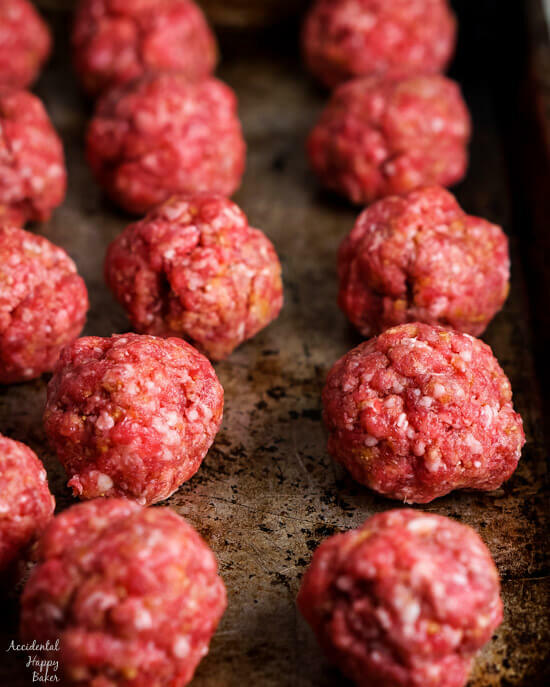 Shape into about 40 meatballs and place them on the baking sheet. Bake for 20 minutes or until browned. Drain off fat and place in a airtight container if refrigerating or freezing to use later. Mix together the cranberry sauce, ketchup, and cayenne pepper. Stove top directions: Put the cooked meatballs in a large saute pan and pour the sauce over the top. Simmer on low heat for 30 minutes. Slow Cooker directions: Put the cooked meatballs in the slow cooker and pour the sauce over the top. Cook on low heat for 4 hours. To cook from frozen: Put the frozen meatballs in the slow cooker and pour the sauce over the top. Stir gently to coat. Cook on low heat for 6-8 hours.